Not all of us football fans have the liberty to spend time gaming at home, but do have long commutes which can be better utilised. That’s where mobile gaming can be of help, and in 2016 there are at least half a dozen decent options to fill your time. 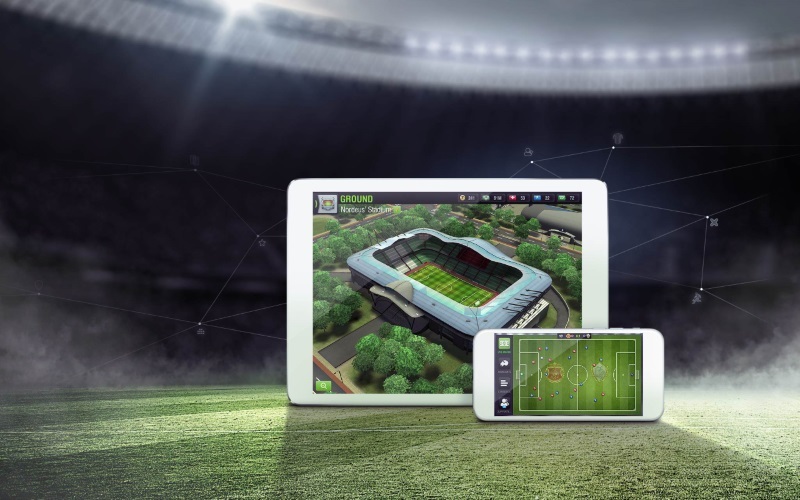 Be it casually flicking the ball towards goal or racking your brain to manage tactics, squad, and transfers, there is something for everyone in the world of mobile football games. One of the oldest kids on the block, Top Eleven has gradually grown to become possibly the most played title on mobile. Developer Nordeus claims 100 million players worldwide, and it’s got enough marketing budget to rope in Manchester United’s José Mourinho. As for the game itself, there isn’t any on-the-pitch action. Top Eleven is about being a manager (hence Mourinho’s involvement) and that means running the club. You’ve to bid for players, think tactics, build a world-class stadium, and then challenge other managers to win games. 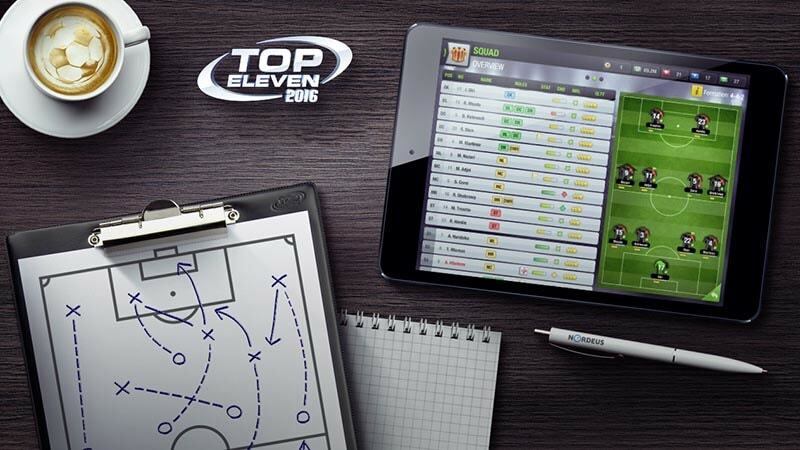 Top Eleven also lets you build your own football association, and invite your friends to compete. It’s even got two dozen licenses, from the likes of Arsenal in the Premier League, Bundesliga’s Borussia Dortmund, Juventus in Serie A, and La Liga’s Real Madrid. Instead of giving you the keys to a game of football, Score! World Goals has a narrow focus: recreating goals, be it domestic leagues, European cup nights and even the World Cup. All this, with just the flick of your fingers. Fans appreciate the game’s minimal learning curve and barebones mechanics – which lets the gameplay focus entirely on setting up goals from running past defenders to putting sweet volleys past the goalkeeper. Score! World Goals has commentary, mo-cap animations, and even a multiplayer mode. Sports Interactive’s Football Manager franchise has long been the mainstay for dedicated managers. And when we say dedicated, we mean people whose lives tend to revolve around the game. So it was only natural that the brand would move onto devices and ecosystems that people carry with them everywhere they go. 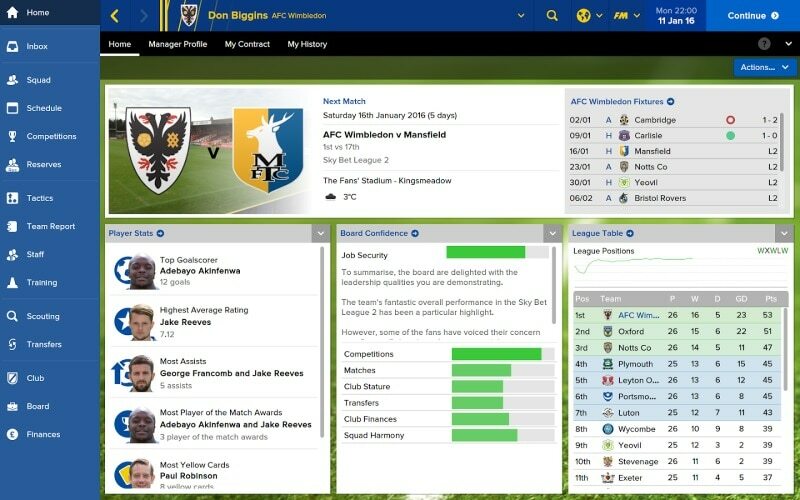 There are now two versions of Football Manager available for mobile devices, in Football Manager Mobile and Football Manager Touch. Both are single-player only, and offer the same modes too – Career, Create-A-Club, and Challenge. Mobile is for the (comparatively) casual crowd, offering faster progress with less depth, while Touch provides the exact opposite. That even reflects in the number of players, staff, and leagues available in-game, with Mobile coming in at 11,000 people across 40 leagues in 14 nations. Touch, meanwhile, offers 26,000 to 190,000 real footballers and staff in a total of 137 leagues spread over 51 nations. Other differences include the presence of 3D match simulator in Touch, and cross-play functionality across your mobile and desktop devices. Technically speaking, Flick Kick Football is the football version of Paper Toss. For those who have never played the classic crumbled paper ball into a trash bin, all you need to do is swipe and flick the ball towards the goal. And as the difficulty increases, you will have to put spin on the ball. The game has other modes too – you can practice your skills in well, Practice Mode, hit the targets in Bullseye Mode, race against the clock in Time Attack, and even go multiplayer if you like. Instead of spending money acquiring licenses, developer Pikpok has taken the game to its “Golden Era”, which has allowed it to not care about the same. Hence, you will find high-waist shorts, moustaches, and 60s hairstyles. 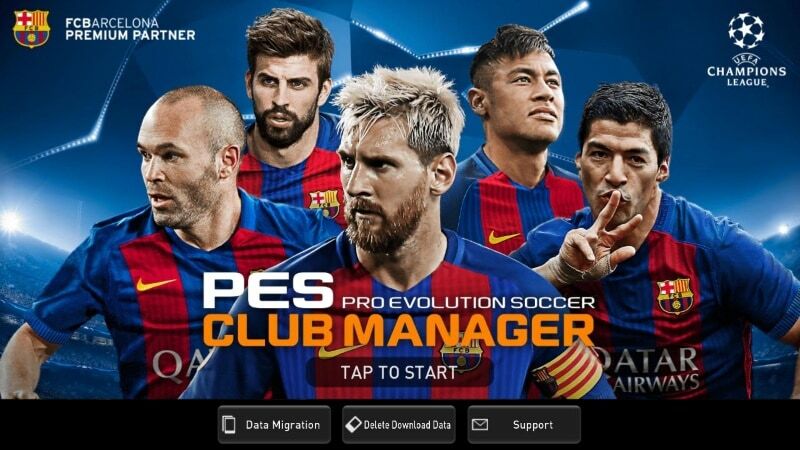 Konami makes one of two credible football games on desktop, and its mobile counterpart – PES Club Manager – is one of the few to offer 3D matches on your phone. It’s simulation-based though, so you’ll need to get your tactics spot on to win games. And what it lacks in sheer gameplay it delivers in graphics – the match simulator draws on the same game engine from Pro Evolution Soccer on consoles. PES Club Manager has over 5,000 licensed players from around the world, be it South American leagues, or the likes of Bayern Munich and Paris Saint-Germain. The game has a huge download size though, at 1.23 GB, so keep that in mind before you take to the pitch. The latest update, in September, brought in the European Championships alongside more daily and weekly achievements. Of all the games on this list, Soccer Stars has the oddest take on football, borrowing elements from air hockey and foosball. The game is meant to be played online, and even allows you to login with your Facebook account to take on your friends. Soccer Stars is meant to be a pick-up-and-play game, so it’s easy to learn and still manages to offer fun in the long run. There are no real footballer likenesses on display, though you can collect the different colours of clubs (such as FC Barcelona, and Liverpool) and countries (Spain, Brazil, and more) to show off your support. What is your favourite football game on your mobile device? Let us know in the comments below or tweet to us @Gadgets360 with #footballapp. Earlier this week, Kolkata giants Mohun Bagan’s dreams of glory faded as the club exited from the preliminaries of the Asian Football Confederation Champions League, suffering an unforgiving 6-0 defeat against China’s Shandong Luneng FC. Neither the elimination nor the manner of capitulation caused particular disgruntlement among the Indian players or fans, but the result did highlight China’s lofty footballing potential, originating from both a historical and political context. Football in China is not a recent phenomenon. In the third century BC during the Han dynasty, cuju, or kick-ball, was a leather ball game between two teams on a marked pitch with goals at two ends. Kicking was a key form of propulsion. Emperor Wu Di was both an aficionado and connoisseur, according to historical accounts. Cuju might have been rudimentary, but China was the cradle of the earliest forms of football. China’s early settled cities and social hierarchies allowed for a framework wherein spontaneous play became organised and institutionalised. Yet the historical importance of the Chinese for football never translated into much in today’s global game. For years, football has been a synonym for abject failure in China. Serbian coach Bora Milutinović, a doyen of international football, guided China’s team to the 2002 World Cup, but Lóngzhī Duì ,or Team Dragon, finished bottom of Group C with a goal difference of -9 after matches against Brazil, Turkey and Costa Rica. Chinese clubs also failed to make much of an impact internationally. Then came President Xi Jinping and, with him, an insatiable desire to propel China onto football’s world stage. The president is a self-declared football fan – of the Manchester United inclination. In 1983, he attended a friendly between China and Watford in Shanghai. The London club’s comfortable 5-1 victory must have been traumatic for Xi: in 2011 he proposed a goal-orientated vision for his country. The Chinese president listed three ambitions, all football-related: to qualify for the World Cup, to host international football’s biggest jamboree and, ultimately, to win it. Football is a reflection of the president’s profound insecurities that, notwithstanding the republic’s great strides forward, China remains a B-list power, shunned for its many peculiarities and deemed unfit to join an elite club of countries that matter. For Xi, football is a soft-power tool to mitigate the nagging fear that China’s quest for hegemony might never materialise, but rather fizzle out and be absorbed by the open and integrated global order. 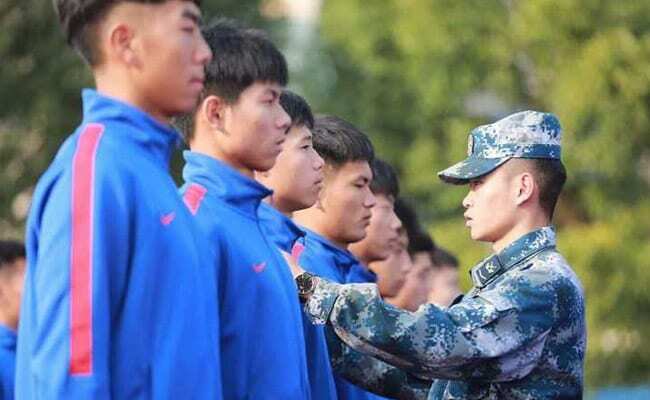 Football is required by the Chinese administration to rule with more legitimacy, for increased geopolitical standing and projection of power, according to Xu Guoqi, a Harvard-educated historian at the University of Hong Kong. Football neatly fits in to the everyman image Xi has been cultivating since he became president in 2012. Yet Xi’s self-proclaimed football love is more than just hoopla. Chinese club football is improving drastically with Guangzhou Evergrande a prime exponent. They won the Chinese Super League or CSL five consecutive times and rose steadily to become a continental powerhouse, winning the AFC Champions League under Brazilian coach Luiz Felipe Scolari. The Club World Cup was still a step too far as they failed to muster any pugnacity in the semi-finals against FC Barcelona’s triangulated game and Luis Suarez’s goal-poaching instincts. In the January transfer window, Guangzhou signed Colombian midfielder Jackson Martinez from Atletico Madrid for £31.5 million, 2016’s highest fee. Ramires, Elkeson and Gervinho also completed high-profile moves to inject the CSL with star ethos and quality. At this rate, China will become the biggest non-European league, overtaking the Major League Soccer, with healthy average attendances of 22,000 and a television rights deal package worth £850 million over the next five seasons. 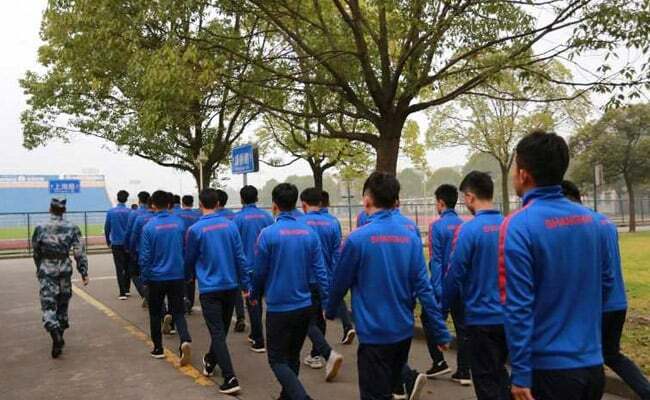 The CSL may form the basis for a stronger national team, together with a grassroots level movement. By 2017, about 20,000 football-themed schools will be opened with the aim of educating and producing more than 100,000 players. They might be part of a future generation of Chinese star players. 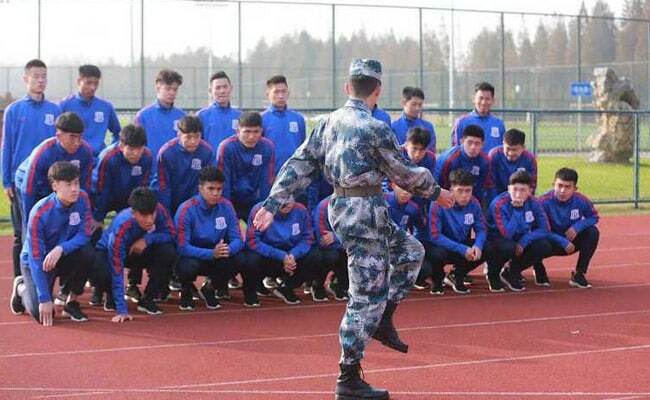 Mohun Bagan and the rest of the football world may want to take note: China’s footballing power is not to be taken lightly.